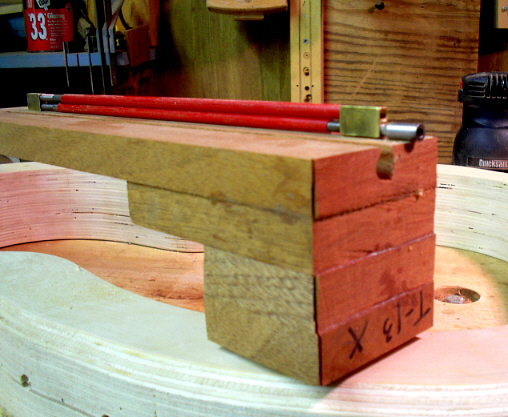 truss rod, a 'Hot Rod' from Stew-Mac will, obviously, be adjustable from the heel. in the slot to give me somewhere to center the drill bit. by raising or lowering the router itself. 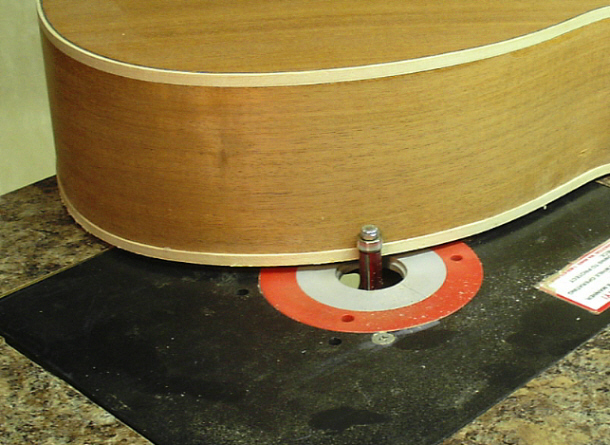 will ensure no gaps when it is glued it.. just plane/scrape/sand it level. chisel, but you pretty much always do. 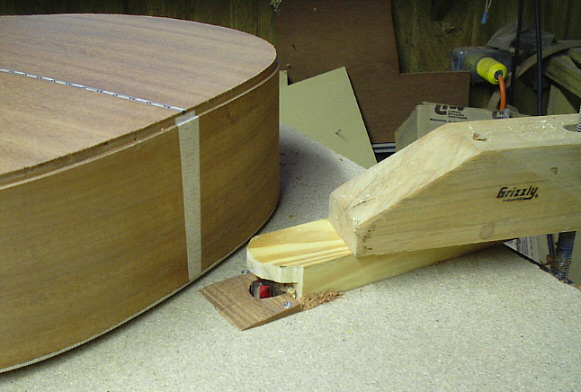 bindings, but it's essentially just like bending the sides, just with a thin little strip of maple. masking tape but stronger and with a stronger (yet clean-removing) tack. 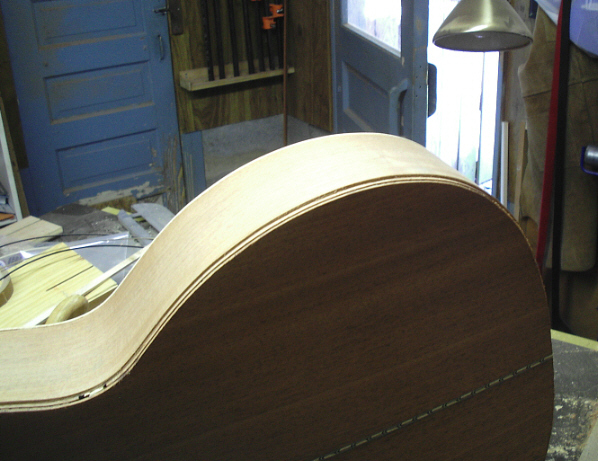 nice transition from the maple binding to the mahogany. I'll do a closeup later. 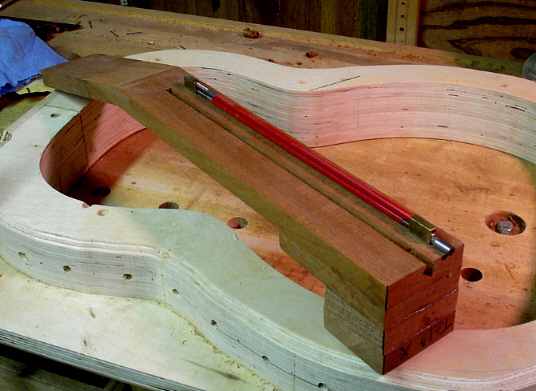 better to pull it in around the curve than to have to be pushing in a section that has too much curve. very very slowly and use very little pressure. 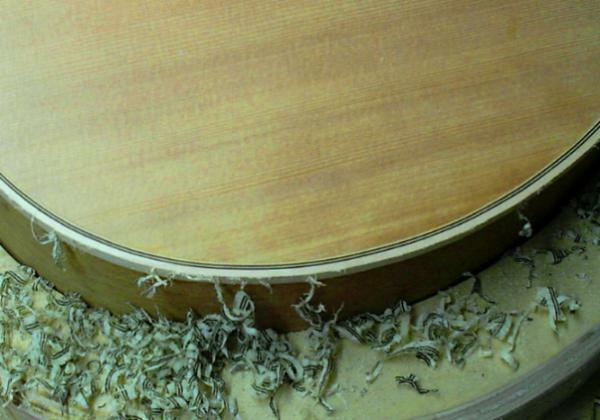 scraping the top binding level with the spruce top. 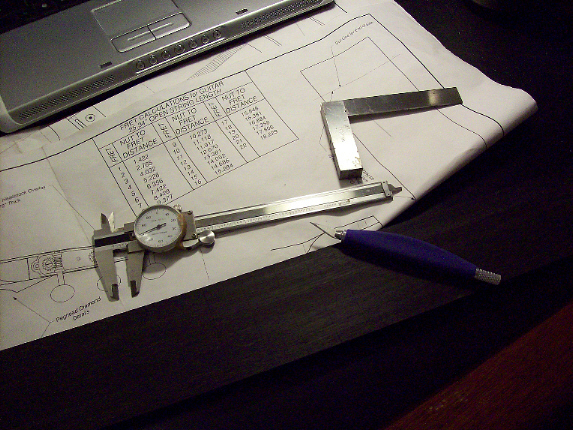 less likely that I'll tilt the body and make a little dip in the binding.